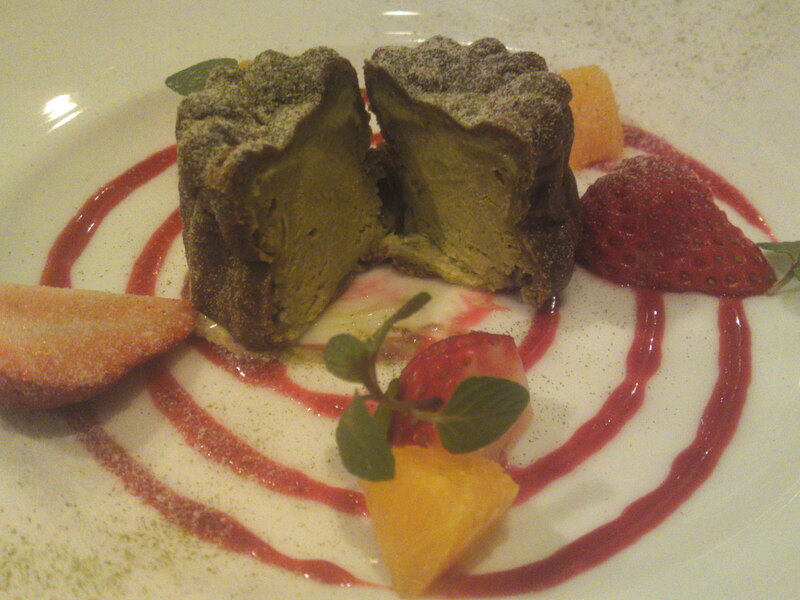 French Desserts: Macaron Framboisé & Matcha Parfait Cannelé at Pissenlit in Shizuoka City! The Japanese, as a general rule, are not so keen to savor cakes at the end of their repasts and prefer to enjoy them in between meals. 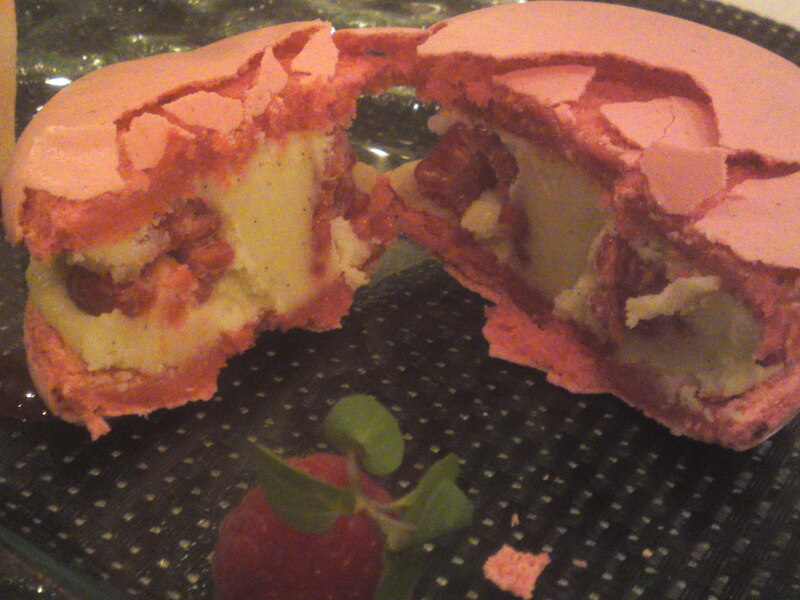 Therefore, it is quite a feat if a restaurant can convince them to find some space for a succulent dessert! Chef Touru Arima/有馬亨さん does not sem to encounter any problems to convince his guests to stay a bit longer and acquaint themselves with his supreme creations! I have just had the occasion to sample two of his recent desserts as I have to visit him often not only for pleasure but also for work. 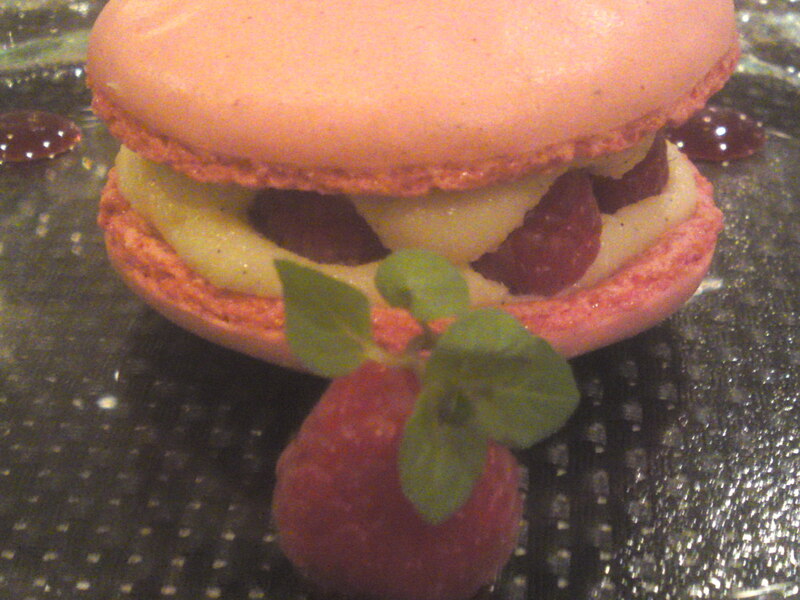 The first one is an enormous macaron with a very feminine touch despite its size! Big and thick as it is, you certainly need a fork and knife to eat it. As its name indicates, it is perfumed and colored with raspberry extract with the butter and marzipan filling containing real raspberries! A sin, if there is one! 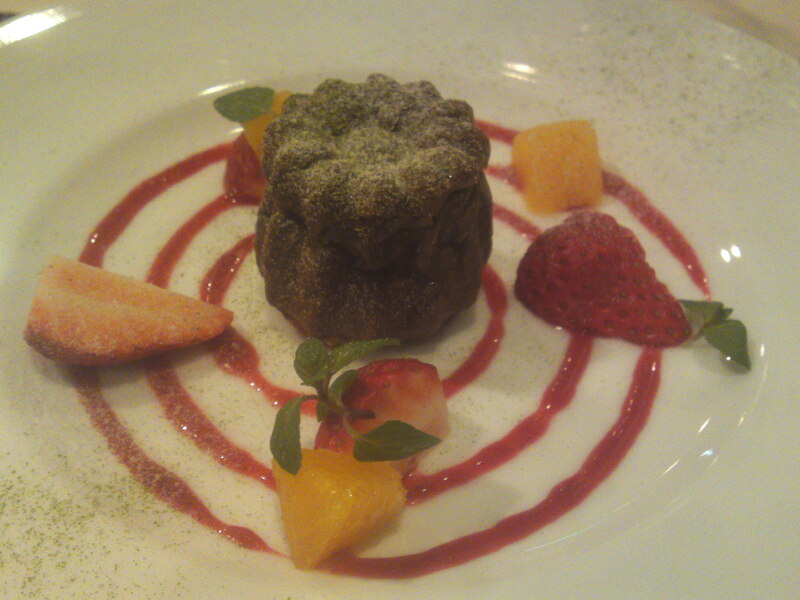 The second dessert was a combination of Bordeaux and Shizuoka Cuisines! In the middle you can see the canelé prepared in the true Bordeaux tradtion but it had been hollowed out! Now, what does it contain? Shizuoka Honyama Green Tea Matcha ice-cream! 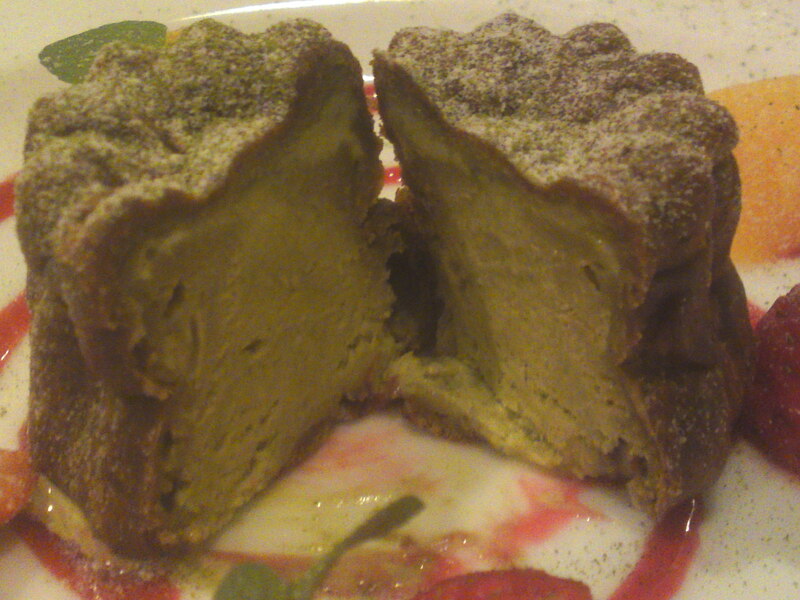 The cannelé had been frozen together with the ice cream! It was the first time I found myself eating a cannelé with a knife and fork! And I’m sure to do it again! 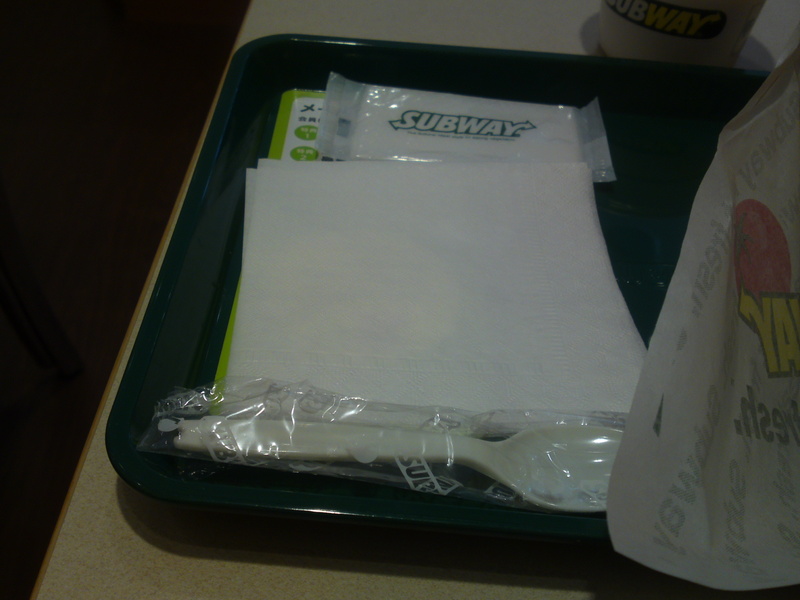 For Better Diners: SUBWAY in Shizuoka City! Facilities: Functional and very clean. Very clean washroom. I remember my good friend Patrick telling me that there are good fast food restaurants and “less good ones”! 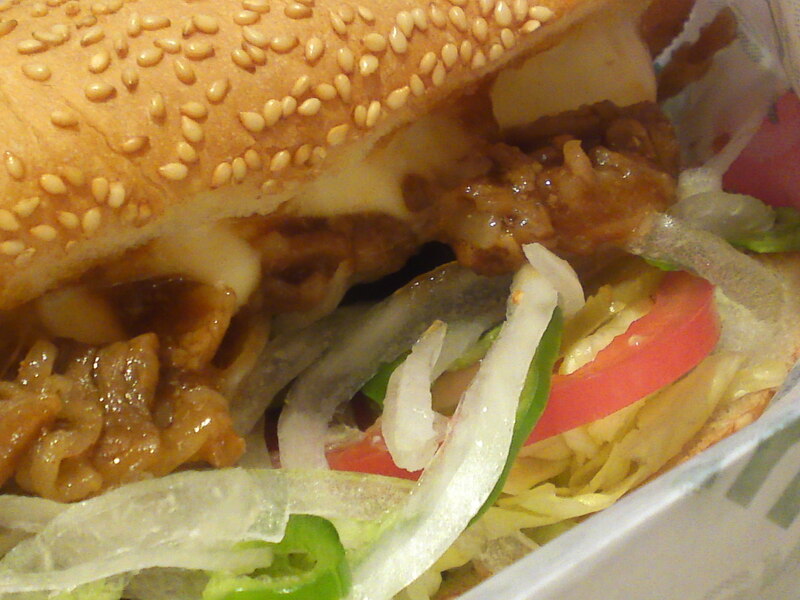 Fast food, when good enough, is much appreciated when in a hurry, and the more for it if it is reasonably healthy! 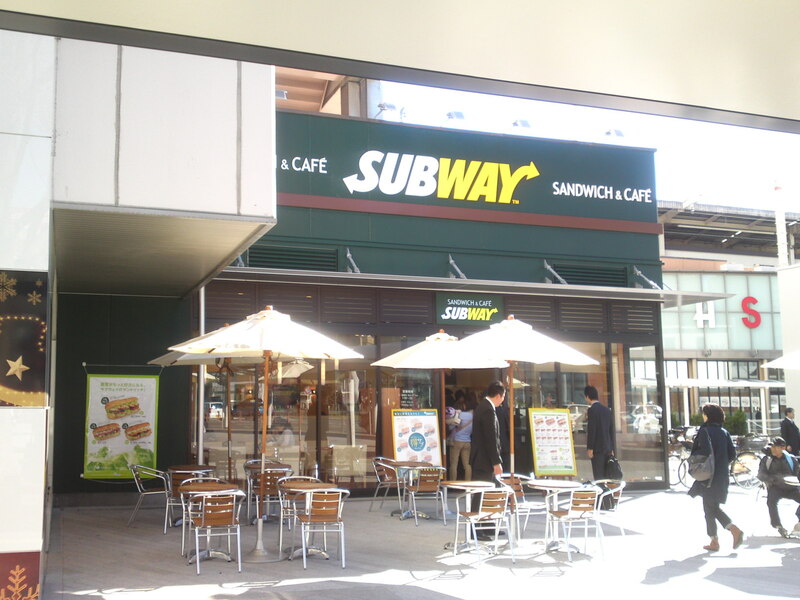 SUBWAY has many diners in Shizuoka and all over the country and abroad, but the one which opened very recently just right of the north exit of the Shizuoka JR Railway Station is a winner! I do not make a habit of patronizing diners (I will not cite names…) but I was happy to discover the place yesterday much in a hurry as I was for lunch! All signs and menus are bilingual (no mistakes! ), a sign of good business sense. 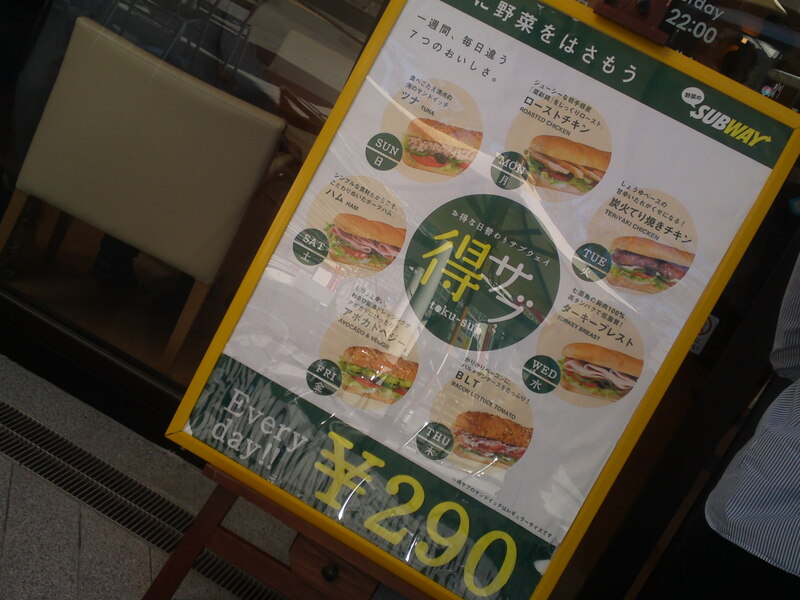 The above board advertizes the fact that one variety of sandwich is offered at a discount price every day! Another good way to have customers sample everything! You do not have to be inside to check the menu and decide your order! 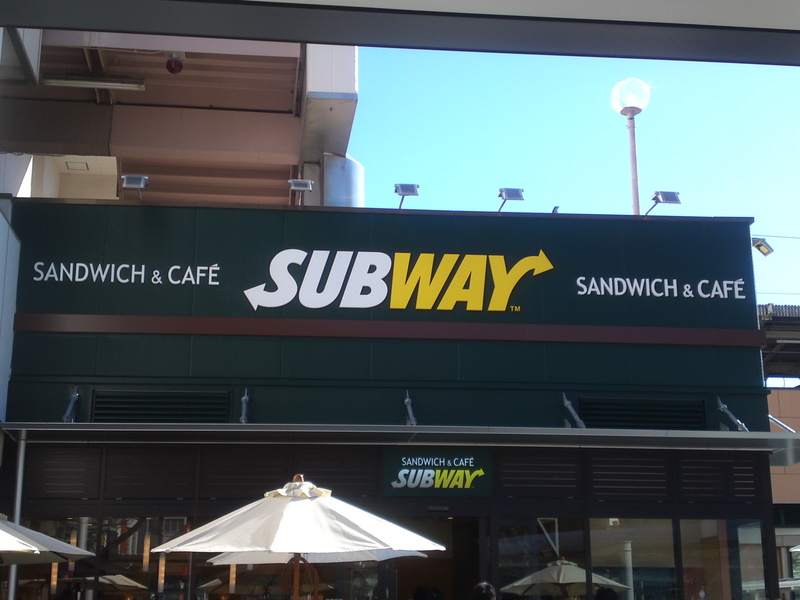 And they use fresh local lettuce! 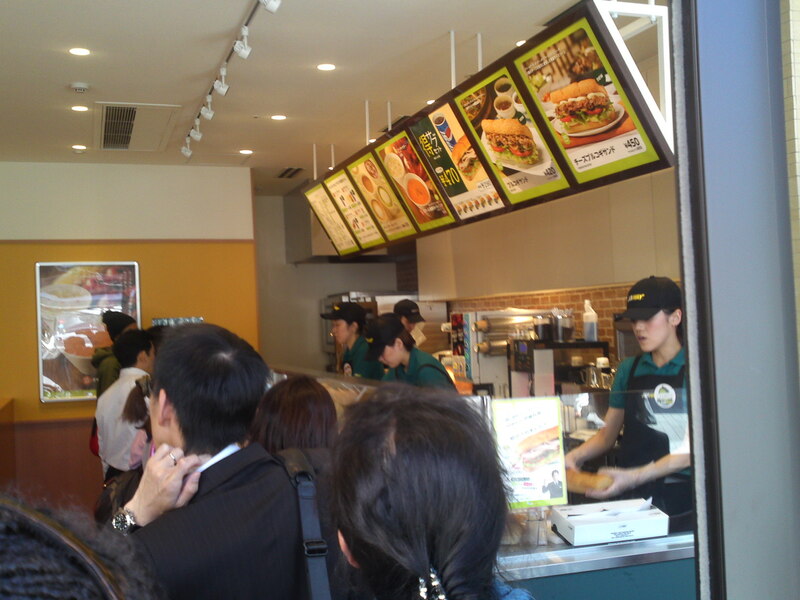 Even at 2:00 p.m. the place was busy but everything went smoothly and more quietly than expected! The staff will always ask you if there are vegetables you do not like. 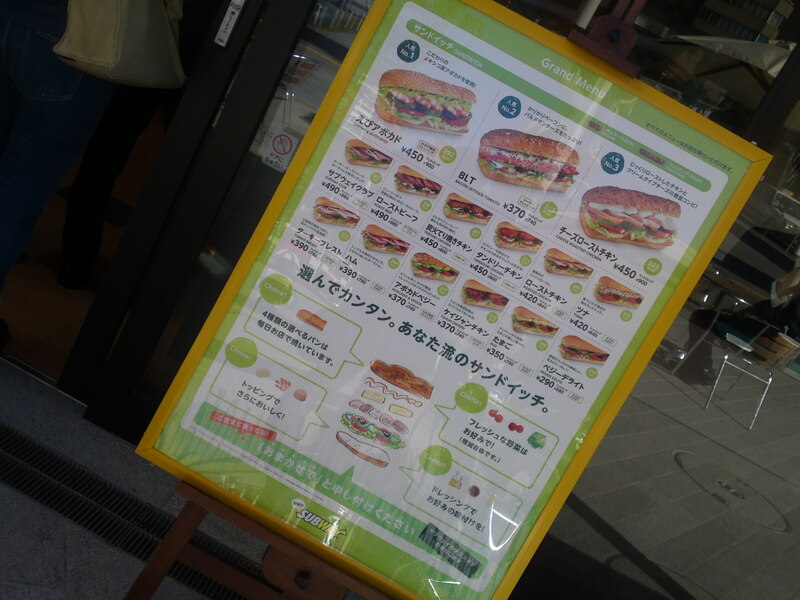 The sandwiches are made entirely in front of you! 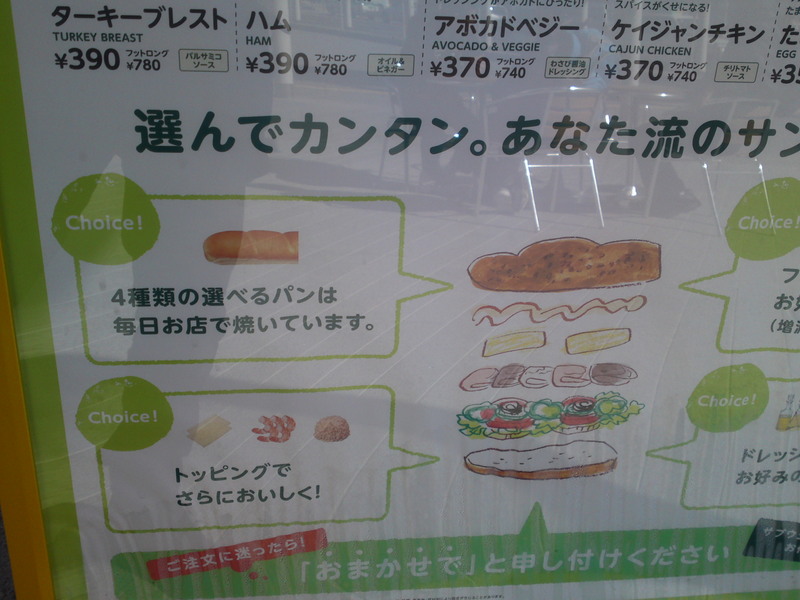 Incidentally, you can choose from 4 types of bread, as they are or toasted on order! I noticed many businessmen and well-heeled travelers, always a good sign. You can either eat onsite inside or under a parasol outside, or buy a take-out order. 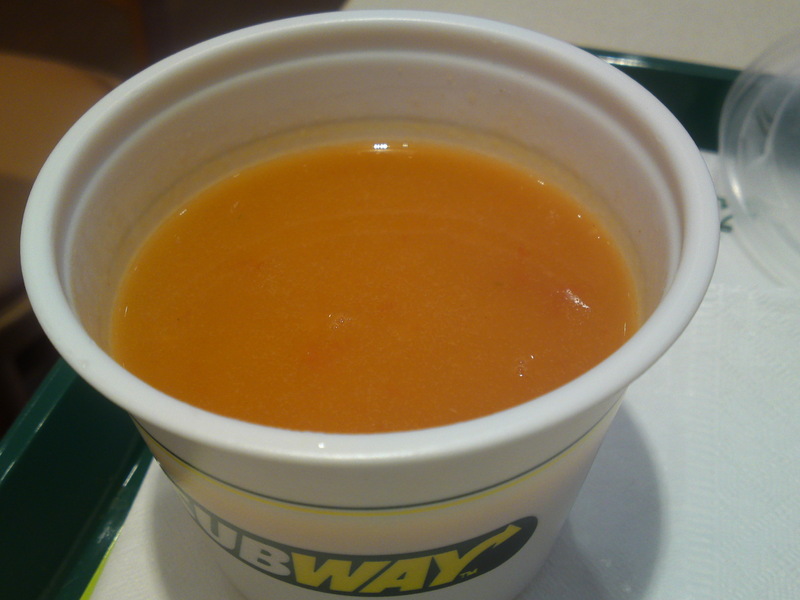 I ordered Cheese Bulgorgi Sandwich with Homard Lobster Bisque Soup! Another good mark for hygiene! 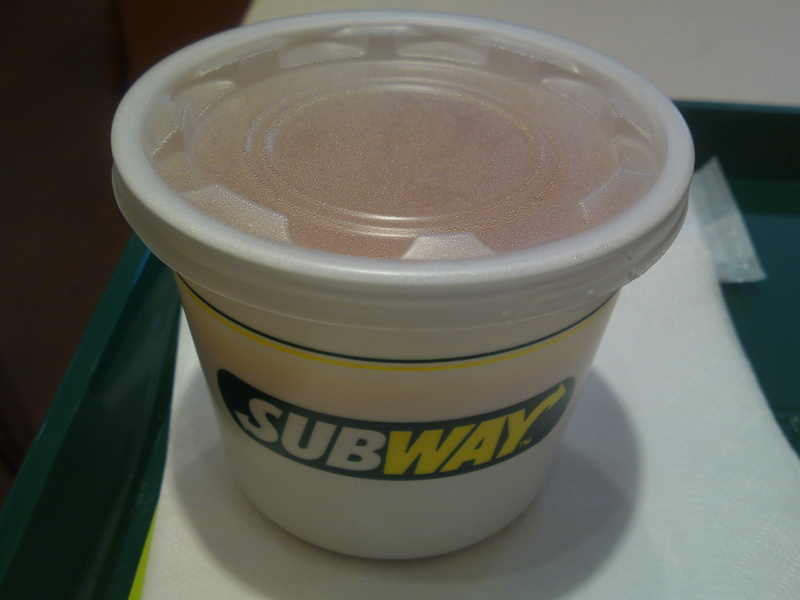 I must admit I was favorably surprised by this fast food rendition of a French delicacy! 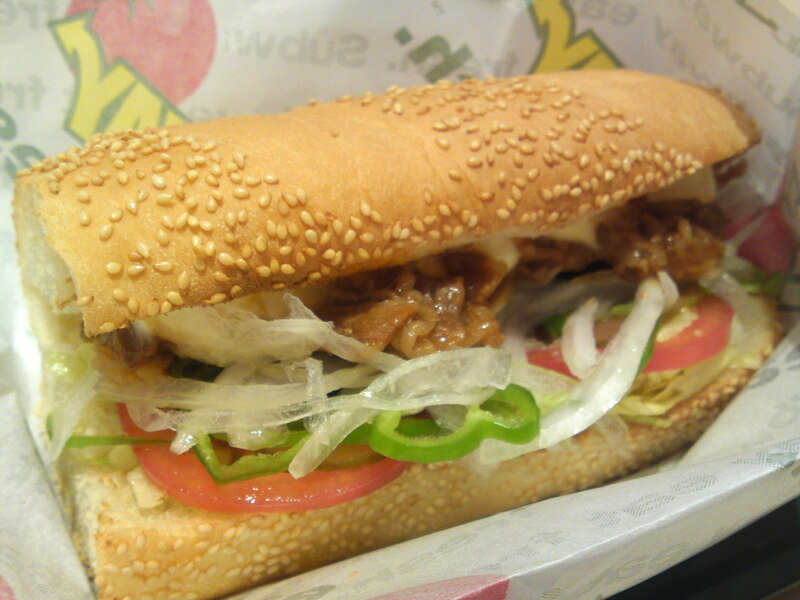 Note that the bread used in Japan by Subway is always comparatively soft but certainly not soggy! I wish all diners could take note! By the way, their fried potatoes are oven-cooked, which means no pervasive oil smells! Definitely a model for the genre! Shizuoka City, Aoi Ku, Shizuoka JR Railway Station, outside left out of north Exit, or right of the entry outside. 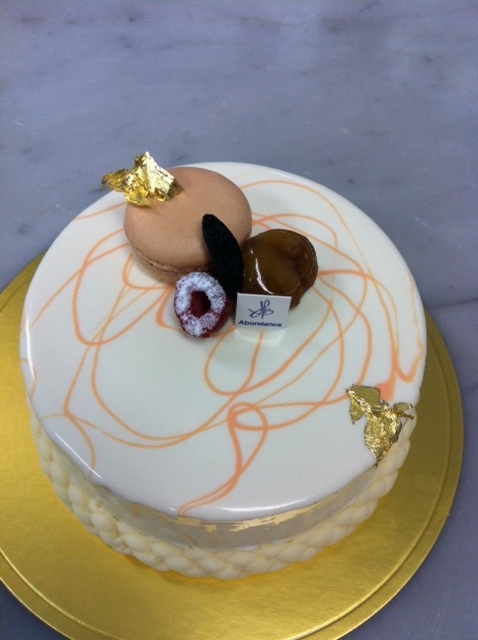 French Pastry: “Splendeur by Bernard Heberle at Abondance Patisserie in Hamamatsu City! My good friend, Bernard Heberle, the owner/chef of Abondance Patisserie in Hamamatsu City has recently been elected the best patissier in Shizuoka Prefecture (almost 4,000,000 souls) by the biggest Food Blog Community in Japan, namely Tabelog! Not only he is a first-class Patissier, but he also makes use of local products whenever possible, especially eggs, milk and fresh fruit! Splendeur/Splendor. With a crakling almond base on a mousse made with Tonga beans atop a biscuit called “Dauphinois”. 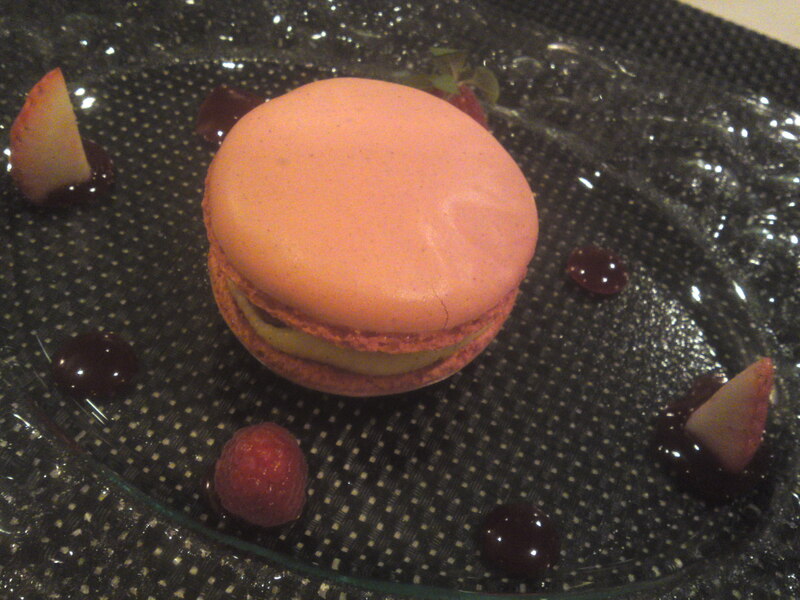 He forgot to mention the cute little chocolate macaron and the golden leaves! Opening hours: 10:00~20:00. Closed on Tuesdays. The summer and the heat have this strange influence on me: I don’t seem to be able to get away from sweet comfort (I don’t much dessert usually) and soft drinks (I usually prefer beer or Japanese sake, LOL)! 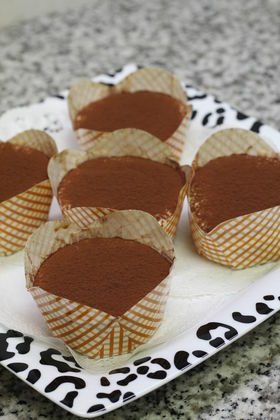 Since I’m still in my “Tiramisu Mode” here is another simple recipe that will delight the kids (and adults, of course!)! 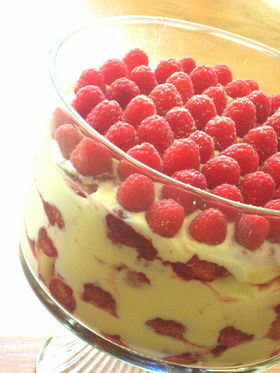 -In a large pan drop the frozen raspberries, sugar and lemon juice. Heat over medium fire for 20 minutes. Switch off fire when mixture has taken the consistency of jam. let cool down. -A) In a bowl drop the mascarpone cheese, the glazing/fine sugar powder and mix well. B)In another bowl beat fresh cream to semi-firm. -Mix A and B delicately until smooth. -In a large bowl of your choosing, first line the bottom with a layer of mascarpone mixture, then lay a layer of jam-dipped ladyfinger biscuits over it. Repeat the process three times. -Lay the rest of the mascarpone mixture on top. Sooth it out with a spatula and decorate it with plenty of fresh raspberries. Cover with cellophane paper and chill inside fridge overnight. Sprinkle with plenty of glazing sugar before serving. For people who like them add more color withsmall mint leaves! So easy and so impresive! 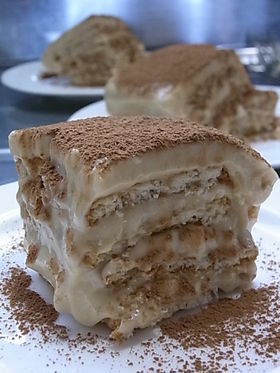 I seem to have entered a “Tiramisu Mode” as this is my third (and I have more!) recipe in less than a week! I might have found myself under the curse of a sweet tooth fairy! This particular recipe has not only the merit to be yummy and fit for all ages, but is also so simple and adaptable! -Get all your ingredients ready! Leave them outside long enough to reach room temperature (relative in summer. Say that 25 degrees Celsius is fine!). 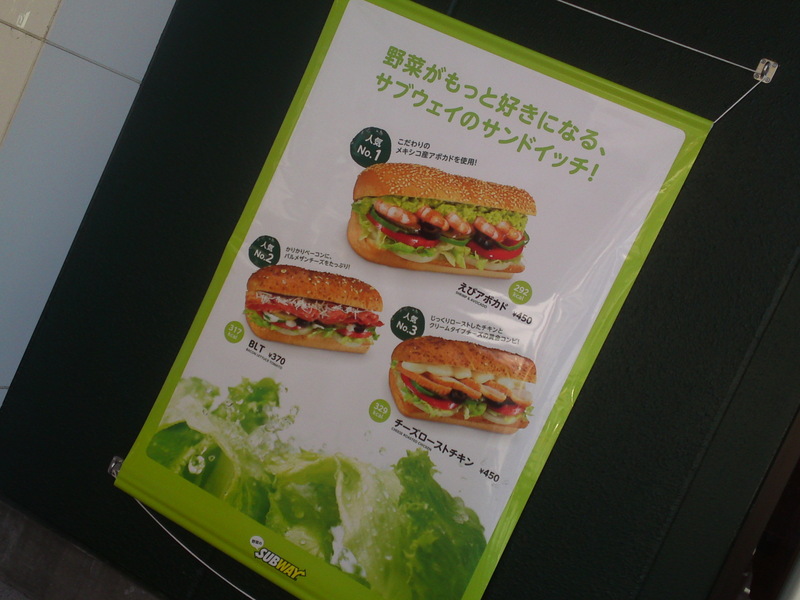 Above ingredients are shown as found in Japan. We also use Philadelphia cream cheese. As for the biscuits and marshmallows use whatever you fancy! -Mix the coffee powder and water to obtain a strong coffee. -Drop the cream cheese into a large bowl. Heat it for about 30 seconds in a microwave oven to soften it. Add sugar and mix well. -In a separate bowl drop the marshmallow with 2 tablespoons of the milk. Leave in microwave oven for 30~50 seconds to melt the marshmallow. Mix well. -Add the rest of the milk to the melted marshmallows and mix well. -Add the cream cheese to the marshmallow mixture and mix well. -Line the bottom a large glass terrine mold with one layer of biscuits. Brush enough coffee onto biscuits for them to absorb it. Cover with a layer of marshmallow/cream cheese layer of same thickness. Repeat the same process three more times or until you run out of ingredients! -Smoothen the surface with a spatula and leave inside the fridge for at least 3 hours (overnight is best!). Sieve cocoa powder over it before serving (not before or the coca powder will sink in the cake!). I’m not vegan or vegetarian, but I’m certainly interested, not only for the sake of healthy food, but also for the challenge. Tiramisu is difficult to imagine for vegans and even vegetarians, but don’t forget that the Japanese are blessed with both tofu for consistent food and macha for extra taste! Vegan Tofu & Macha Tiramisu! -Mix oatmeal with coffee. Add 1 tablepoon of hot water and mix. It will will turn up as soft cookie when all the liquid has been absorbed..
-Thorw in the cut avocado, tofu, soy milk, agave syrup and vanilla oil into a blender. Mix. Check taste and add syrup if not sweet enough. -Line bottom of cup with oatmeal mix. -Top with avocado cream, Chill inside fridge. 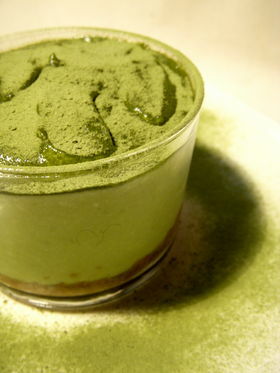 -Top with plenty of macha powder and serve! The Japanese are famous for miniaturizing (making smaller) anything in sight, and it does apply in cooking, especially desserts. Tiramisu is “usually” made into large affairs to be scooped from. Here is a Japanese home-style version which will prevent fights between children and adults alike! Beat the egg and sugar together until they have properly risen. Add oil and mix well. Add flour through a sieve in three steps and mix. Fill each cup with an equal amount of sponge cake mixture. Bake for 13 minutes at 180 degrees Celsius. Dissolve completely instant coffee powder in hot water. Add Coffee Liqueur and mix well. -As soon as the spong cake has been baked brush in the coffee syrup on it while it is hot top allow for a good soaking. Beat egg yolk and sugar together until mixture whitens. -Add mascarpone and mix well. Beat fresh cream in a separate bowl until 7/10 hard. -In another separate bowl beat the egg white and sugar until hard risen. -Fill each cup with cheese mixture. Sieve chocolate powder on top.